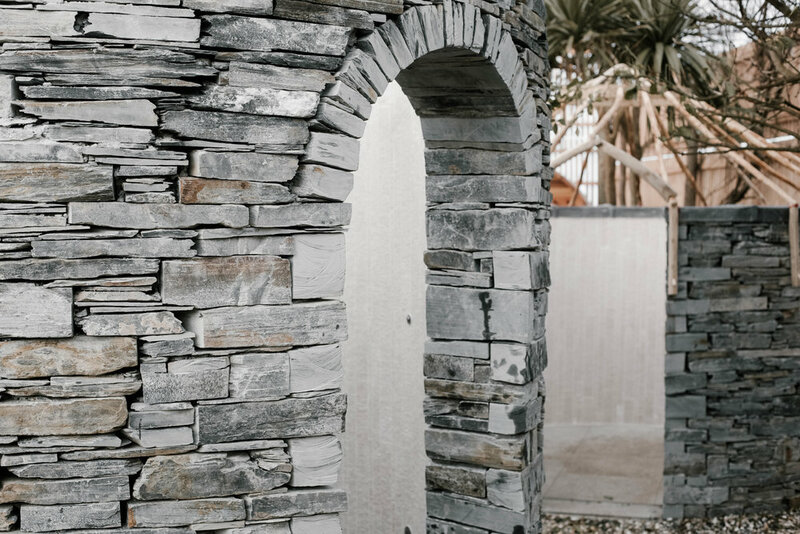 Located at Bedruthan Hotel, the sensory spa garden is a unique hour long, seven stage experience for your senses. Each stage has been beautifully thought out and carefully designed to appeal to the sights, sounds, aromas and textures of nature. The staff are relaxed and softly spoken and guide you to the different areas to get changed into the crocs and robes before taking you to the spa garden. It has an ethereal, Nordic feel thanks to the outdoor setting and everything from the fire at the end of your journey to the scrub that they make from all natural ingredients has been carefully thought out with you in mind. You start your journey with a dry scrub to gently exfoliate your skin in a stone room, then shower off in their beautiful outdoor shower, next is the sea-view cedar wood sauna which I would usually skip but staring out to the sea was too good a view to miss. After I cooled off with a cold bucket shower (for the brave) but after the heat of the sauna, the cold water will leave you feeling refreshed. After all this my skin felt rejuvenated as I sank into the muscle relaxing heat of the hot tub finally, a wet scrub in the outdoor shower with the most luxurious scrub I have ever had, this stuff will leave your skin glowing and I am still upset I didn’t take the opportunity to buy some. Lastly, I was guided to sit around a fire with my feet immersed in a warm copper footbath, feeling tranquil while the spa host brought me a cup of herbal tea. The sensory spa garden is a lovely, uplifting, relaxing spa that is different from the norm and has to be one of the most male-friendly and first-time spa experiences I have ever been too.